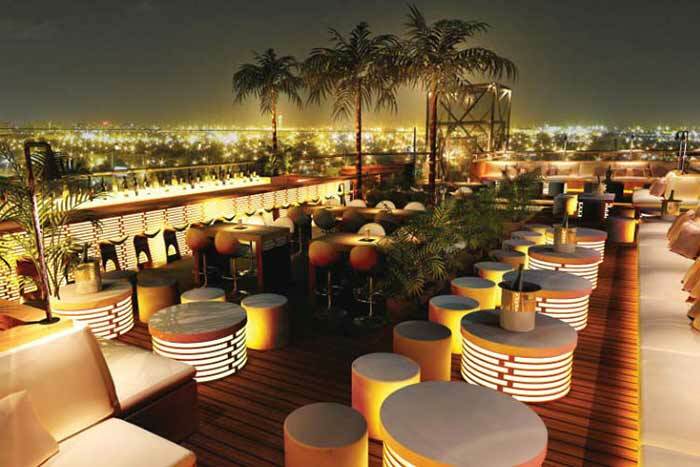 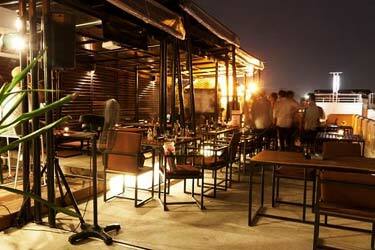 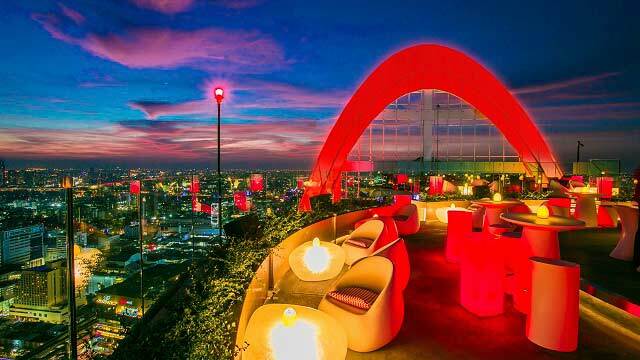 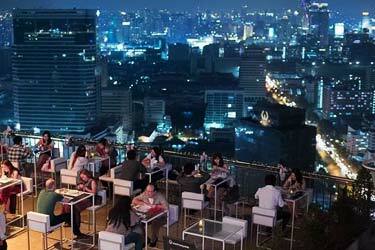 A rooftop bar in Bangkok located at the always luxurious and modern hotel St Regis Bangkok. 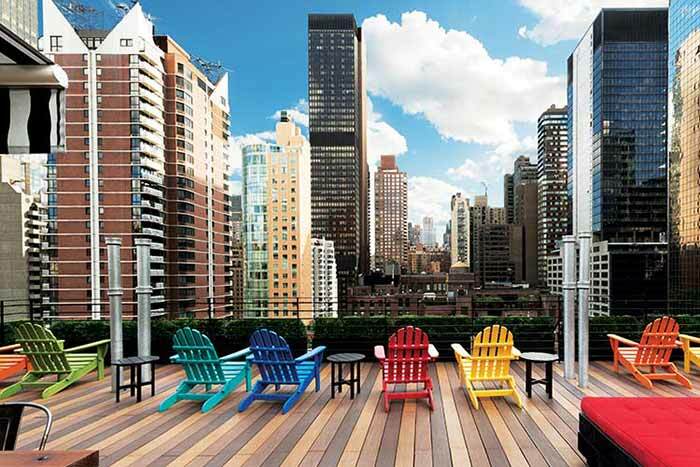 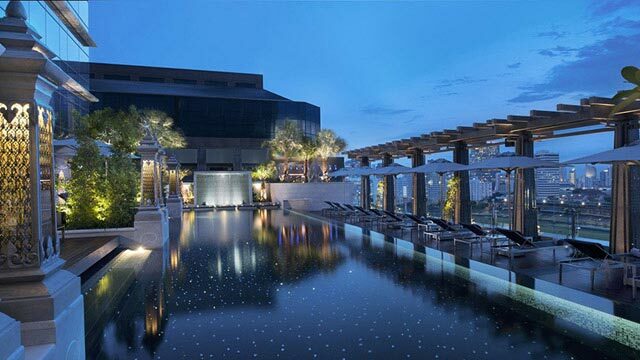 The best thing about this whole rooftop is the stunning infinity rooftop pool, surrounded by a garden-like setting with green trees and bushes. 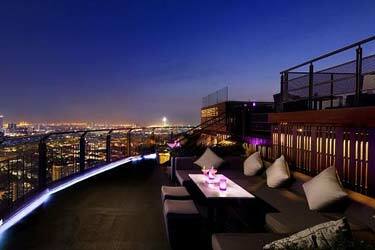 The pool is only available for hotel guests, but luckily there is a bar on the same floor open for all. 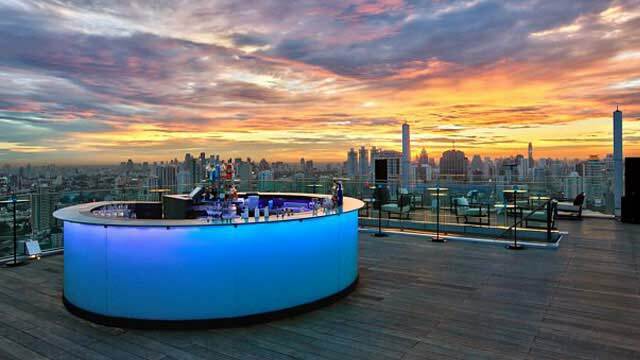 Here you can enjoy classic cocktails along with the signature taste sensation Siam Mary, including Thai chili, wasabi, lime, coriander, Thai basil and lemongrass. 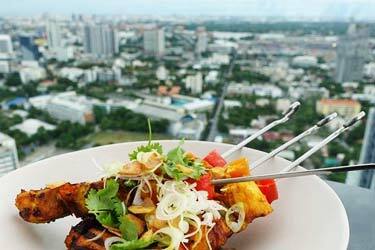 To go with the drinks there is also classic bar bites available. 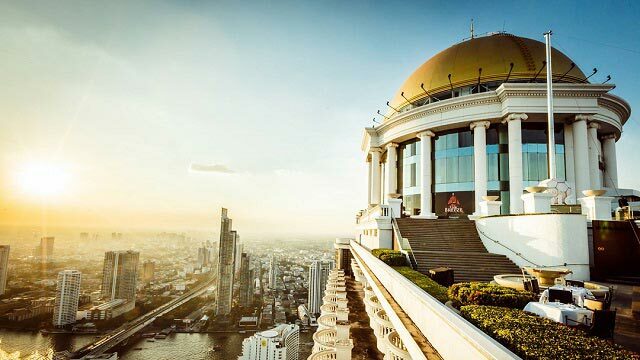 The view from the St Regis Bangkok rooftop bar is nothing to complain about either. 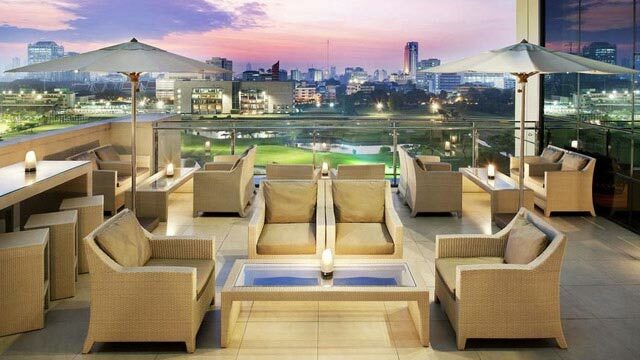 Absolutely stunning views of the Bangkok skyline and the Royal Bangkok Sports Club in front of the hotel. 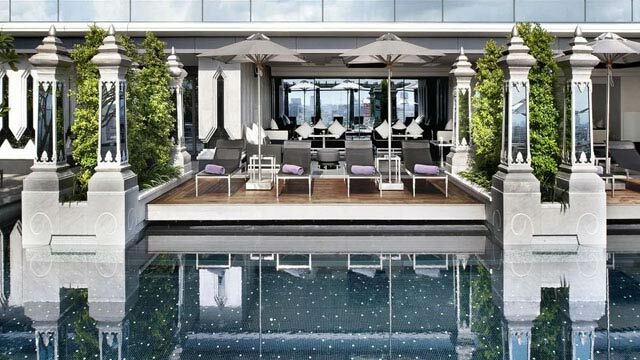 For those who like a more quiet, private and luxurious atmosphere, the St Regis rooftop bar and pool is a perfect spot on this site to visit in this beautiful city. 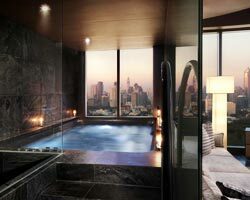 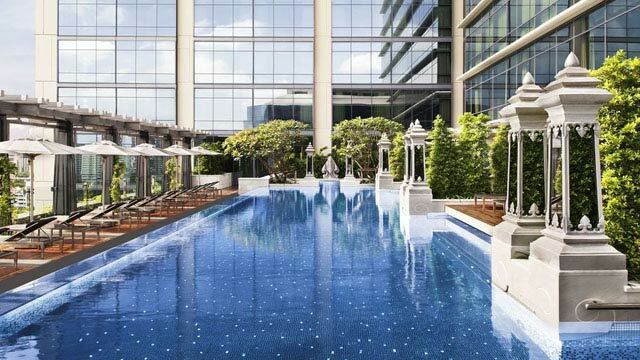 Book your hotel room at the 5-star St. Regis Bangkok here and take part of the luxurious rooftop pool which is available only for hotel guests.